My interest in the dispute over Western Sahara is based not simply upon my belief in justice for that country’s people, but its implications in regard to international law and the principles upon which theUnited Nations organization is founded. These include the right of self-determination by non-self-governing territories and the inadmissibility of any country expanding its territory by force. Since I am not from Western Sahara, I have no stake as to whether the people of that country choose integration with Morocco, independence, or some sort of autonomy within the Moroccan kingdom. However, as a non-self-governing territory, they must have the right to make that choice. The Kingdom of Morocco remains in contravention of a series of UN Security Council resolutions calling on that government to allow the people of the territory the right to determine their own future, including the option of independence. Instead, the Moroccan government and its allies have been pushing for a so-called “autonomy” plan. This proposal falls well short of what is required to bring about a peaceful resolution to the conflict. Moreover, it sets a dangerous precedent which threatens the very foundations of the post-World War II international legal system. To begin with, the proposal is based upon the assumption that Western Sahara is part of Morocco, a contention that has long been rejected by the United Nations, the International Court of Justice, the African Union, and a broad consensus of international legal opinion. To accept Morocco’s autonomy plan would mean that, for the first time since the founding of the United Nations and the ratification of its Charter more than seventy ago, the international community would be endorsing the expansion of a country’s territory by military force and denying a recognized non-self-governing territory its right of self-determination, thereby establishing a very dangerous and destabilizing precedent. If the people of Western Sahara accepted an autonomy agreement over independence as a result of a free and fair referendum, it would constitute a legitimate act of self-determination. However, Morocco has explicitly stated that its autonomy proposal “rules out, by definition, the possibility for the independence option to be submitted” to the people of Western Sahara, the vast majority of whom - according to most knowledgeable international observers – favor outright independence. One is that the history of respect for regional autonomy on the part of centralized authoritarian states is quite poor, and has often led to violent conflict. For example, in 1952, the United Nations granted the British protectorate (and former Italian colony) of Eritrea autonomous federated status within Ethiopia. In 1961, however, the Ethiopian emperor unilaterally revoked Eritrea’s autonomous status, annexing it as the country’s fourteenth province, resulting in a bloody thirty-year struggle for independence and subsequent border wars between the two countries which have claimed hundreds of thousands of lives.Similarly, the unilateral revocation of Kosovo’s autonomy by the Serbian leader Slobodan Milosevic in1989 led to a decade of conflict, an eleven-week NATO bombing campaign, and the still-unresolved legal status of that territory. Based upon Morocco's record of breaking its promises to the international community regarding the United Nations-mandated referendum for Western Sahara and related obligations based on the 1991 cease fire agreement, there is little to inspire confidence that Morocco would live up to its promises to provide genuine autonomy for Western Sahara. A close reading of the proposal also raises questions as to how much autonomy is even being offered. Important matters such as control of Western Sahara’s natural resources and law enforcement (beyond local jurisdictions) remain ambiguous. In addition, the proposal appears to indicate that all powers not specifically vested in the autonomous region would remain with the Kingdom. Indeed, since the King of Morocco is ultimately invested with absolute authority under article 19 of the Moroccan Constitution, the autonomy proposal’s insistence that the Moroccan state “will keep its powers in the royal domains, especially with respect to defence, external relations and the constitutional and religious prerogatives of His Majesty the King” appears to afford the monarch considerable latitude in interpretation. Furthermore, Morocco has been illegally colonizing the occupied Western Sahara with tens of thousands of settlers. As in the case of the Israeli settlers of the West Bank and Golan Heights, the transfer of a country’s civilian population onto lands seized by military force is a clear violation of the Fourth Geneva Convention. These Moroccan settlers already outnumber the indigenous population, who would therefore not be able to exercise whatever limited degree of self-rule that the kingdom may offer. Still another reason to distrust Morocco’s proposed autonomy plan is the poor human rights situation in the occupied Western Sahara, where any expression of nationalist sentiments—displaying flags, signs, protests, or any public expression—is brutally suppressed. I have visited over seventy countries—including Iraq under Saddam Hussein and Indonesia under Suharto—and I have never seen a worse police state. The US-based NGO Freedom House—which, if anything, has a something of a bias in support of pro-Western governments—has ranked Western Sahara as having one of very worst human rights situations in the world. Amnesty International and other reputable human rights organizations have issued a number of scathing reports on human rights abuses by Morocco. The brutal suppression by Moroccan occupation forces of those who support independence is but one indication of the Moroccan government’s lack of respect for the well-being of the people of Western Sahara and underlies the imperative of including a human rights mandate for MINURSO, currently the only UN peacekeeping force which lacks that authority. Some observers see autonomy as a reasonable compromise between independence and integration, constituting a kind of win/win situation between the Sahrawi desire for self-governance and the Moroccan desire for sovereignty over the territory. However, unlike certain ethnic conflicts or border disputes where such a “third way” between the demands of two parties would constitute a creative means of conflict resolution, Western Sahara is a clear-cut case of self-determination for a people struggling against foreign military occupation. This is not a matter of “splitting the difference,” given that one party is anon-self-governing territory under an illegal foreign military occupation and the other party is an occupier effectively playing the role of a colonizer. This is why the international community rejected Iraq’s proposals in 1990-91 for some kind of compromise regarding its occupation of Kuwait and why the U.S.-led “peace process” on Israel/Palestine based upon the alleged need for the two parties to “compromise” on the extent of Israeli control over territories occupied by Israel in the June 1967 war has failed to resolve the conflict. The Polisario Front has already offered guarantees to protect Moroccan strategic and economic interests if allowed full independence. To insist that the people of Western Sahara must give up their moral and legal right to genuine self-determination is therefore not a recipe for conflict resolution, but for far more serious conflict in the future. The recent illegal expulsion of MINURSO civilian personnel and the anti-UN incitement by the Moroccan regime in response to the Secretary General’s use of the word “occupation”—despite the fact that the term has already been included in UN General Assembly resolutions and is in common use among international legal scholars—is but one indication of that government’s unwillingness to live up to its international responsibilities. Morocco has succeeded in resisting its international legal obligations for more than four decades through its support from France and, under some administrations, the United States as well. As a result of French and American veto threats, the Security Council has failed to place the Western Sahara issue under Chapter VII of the United Nations Charter, which would give the international community the power to impose sanctions or other appropriate leverage to force the Moroccan regime to abide by the UN mandates it has to date disregarded. It was similar support by Western industrialized nations of Indonesia which for many years prevented resolution to the occupation of East Timor. It was only after human rights organizations, church groups, and a wide array of activists in the United States, Great Britain, and Australia successfully pressured their governments to end their support for Indonesia’s occupation that the Indonesian government was finally willing to offer a referendum which gave the East Timorese their right to self-determination. It may take similar grassroots campaigns in Europe and North America to ensure that Western powers live up to their international legal obligations and pressure Morocco to allow the people of Western Sahara the right to determine their own destiny. Given Morocco’s unwillingness to live up to its international legal responsibilities, its refusal to live up to its obligations under the cease fire agreement, and the failure of the UN Security Council to enforce its mandate, the Polisario has threatened to resume the armed struggle. As a people under foreign belligerent occupation in non-self-governing territory denied the right to self-determination, the Western Saharans do have the right of armed resistance. However, this would be a serious strategic error that would only play into the hands of Morocco and its supporters and weaken their appeal for badly-needed international support. The most effect means of resistance would be the kind of nonviolent civil resistance which has brought down dozens of autocratic regimes in recent decades and freed the Baltic republics from Soviet occupation. We have seen impressive examples of such resistance in the occupied Western Sahara in recent years. There are limits to what such nonviolent resistance can achieve, however, due to the fact that the indigenous population is now badly outnumbered by Moroccan settlers. Still, the growth of the non-violent resistance struggle in the occupied territories offers a unique opportunity to build international awareness of the conflict among civil society organizations that could offer much-needed solidarity with the freedom struggle inside Western Sahara. Nonviolent civil resistance and other forms of non-cooperation provide an important signal to the Moroccan occupiers and the international community that the people of Western Sahara still demand their freedom and will not accept anything less than genuine self-determination. 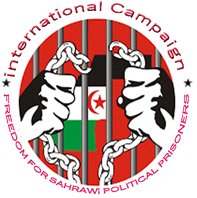 The use of strategic nonviolent methods of resistance also makes it easier to highlight gross and systematic violations of international humanitarian law by Moroccan occupation forces, gain sympathy and support from the international human rights community, and provide greater pressure on the French, American and other governments which continue to prevent appropriate pressure on Morocco to allow the people of Western Sahara the right to determine their own destiny. There is a small but growing movement in Europe supporting Western Sahara’s right to national self-determination, as well as some similar civil society initiatives in South Africa, other African countries, Australia, Japan, and the United States. A growing focus on the issue of the illegal exploitation of natural resources in Western Sahara is providing proponents of international law and human rights a means of which to challenge governments and companies which illegally take advantage the occupationby targeting them through campaigns advocating boycotts, divestment, and sanctions. At this point, however, such movements are too small to have much impact on government policies, particular those of France and the United States, which are the two governments most responsible for the failure of the United Nations to enforce its resolutions addressing the conflict. This can change, however: Just over twenty years ago, there was relatively little civil society activityin developed nations regarding East Timor, but a dramatic growth in such activism in the late 1990s played an important role in making possible East Timor’s eventual independence. A similar campaign may be the best hope for the people of Western Sahara and the best hope we have to save the vitally important post-World War II legal principles enshrined in the United Nations Charter. If the international community cannot fulfil its responsibilities on this issue – where the legal and moral imperatives are so clear – how can it deal with more complex issues? If the international community cannot uphold the fundamental right of self-determination, how can it successfully defend other human rights? If the international community cannot enforce a series of United Nations Security Council resolutions regarding such a blatant violation of the UN Charter as a member state invading, occupying, annexing and colonizing a neighboring country, how can it enforce other provisions of international law?